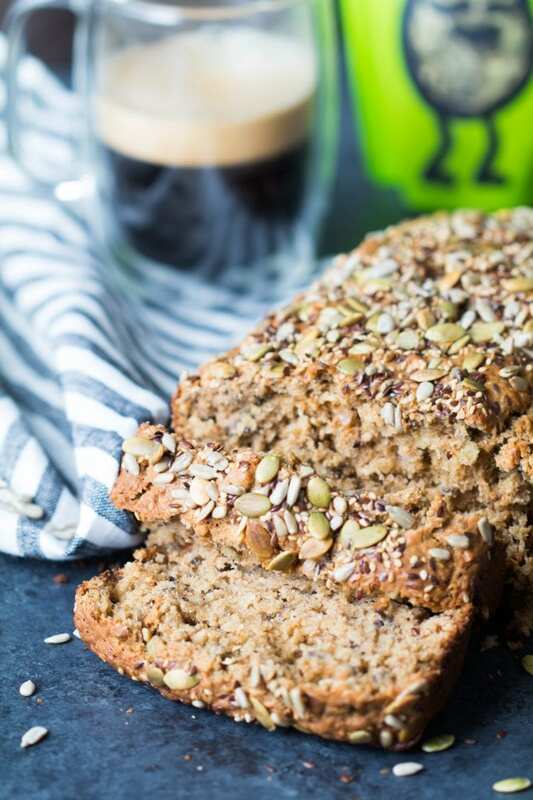 Have you made a Sprouted Seed Bread before?! If not this is an easy recipe to start with. 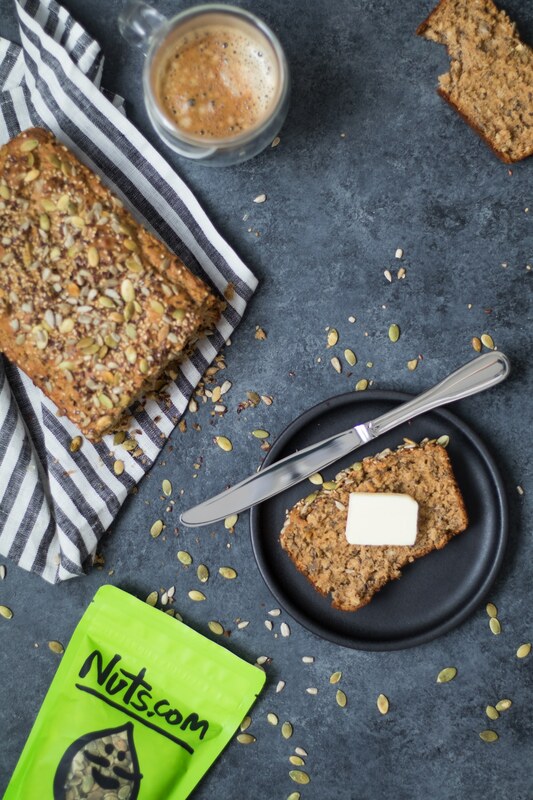 Sprouted Seed Bread has the perfect crunch and hint of sweetness that will leave your mouth watering & begging for another slice! March is National Flour Month so I wanted to take the time to talk about sprouted whole grain flour! What the heck is it and why should it be a staple in your pantry?! Sprouted grains have increased proteins, vitamins, and other essential nutrients. In fact, sprouted grains contain as many as 10 to 20 times more nutrients than processed grains! Studies have shown that the benefits of sprouted grain products not only include increased vitamins and minerals, but can also directly reduce the risk of obesity, high blood pressure, heart disease and diabetes. 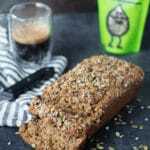 Sprouted Whole Grain Flour is great for this Easy Sprouted Seed Bread recipe. I love it because it is suitable for use as a one for one replacement to all-purpose flour in most recipes. Use it to add nutrients to homemade pasta, breads, and pizza crusts by using Sprouted 100% Whole Grain Flour from Nuts.com! This bread is versatile because you can enjoy it as is, or preferably with a slab of button on it while it is still warm (holy yum). OR you can even enjoy it the savory route with an egg on it – just use it like toast in the morning! So yummy and packed with nutrients and just a little bit of sweetness. Nuts.com offer a variety of foods from nuts (to point out the obvious) to dried fruits, chocolates & sweets, coffee & teas, and pantry staples you need for cooking & baking! Ditch the hassle of rushing to the grocery store and order online with ease. 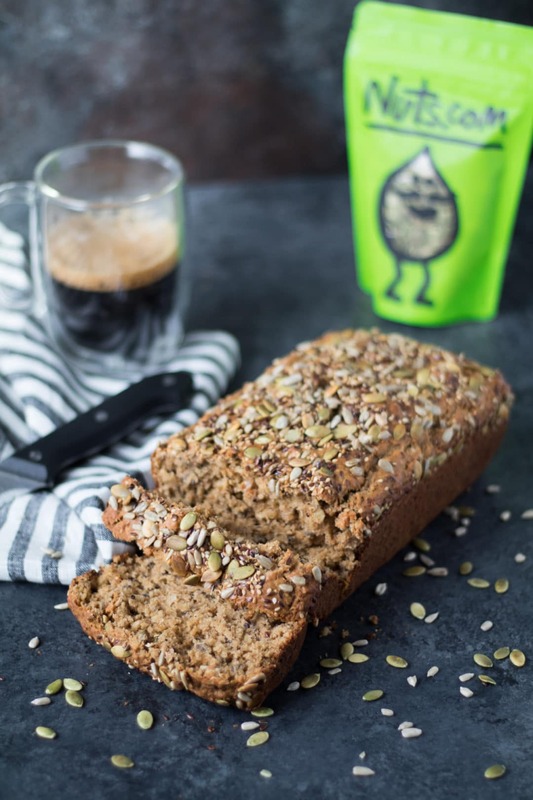 Toast to your Tuesday and make this easy peasy Sprouted Seed Bread! Sprouted Seed Bread has the perfect crunch and hint of sweetness that will leave your mouth watering & begging for another slice! I like to enjoy with peanut butter, or with an egg on top! Preheat oven to 350°F. Coat a 9-by-5-inch loaf pan with non stick spray. In a medium skillet over medium to low heat, combine sunflower seeds, pepitas, flaxseed and sesame seeds. Toast until lightly brown (about 5 minutes) you'll start to hear them begin to pop! Reserve 3 Tbsp. of these seeds to top on bread before baking. In a large bowl, mix sprouted flour, baking powder, baking soda and salt - whisk to combine. Add in seeds you just toasted. Then in a separate small bowl, whisk eggs & then whisk in buttermilk, oats, oil, brown sugar and honey. Fold wet into dry ingredients and mix well. Pour into prepared pan, Top with reserved 3 Tbsp. seeds. Bake for ~45-55 minutes or until cooked through. Let cool in the pan for about 30 minutes before turning out onto a wire rack to cool completely. Enjoy!! Last but not least, thank you Nuts.com for sponsoring this post! My readers love seeing new products and innovative brands like yours! YES I love this! Looks like the perfect slice for avocado OR pb + banana 🙂 Been wanting to experiment with sprouted flour for so long so I will definitely be making this soon! OMG you are the cutest totally feelin’ the love from you today!! I am currently eating a slice with PB and it’s HEAVENLY! Hope you love it! I had no idea there was such a thing as national flour month. This bread is total goals…looks amazing, sounds delicious and so filling. This looks divine! I’d gladly eat this with a big swipe of PB! Yum! This looks like the dark seed bread I had in Denmark over the summer. Been looking for a recipe like this! So excited to make! It hit me as I was pouring this into loaf pans, I bet it would also make amazing muffins ! I hope you love it! Mmm muffins would be a great idea!! These directions seem to be out of order or something, and do not make sense. Weird, they should make sense now! I have a video on the directions as well!! so sorry!